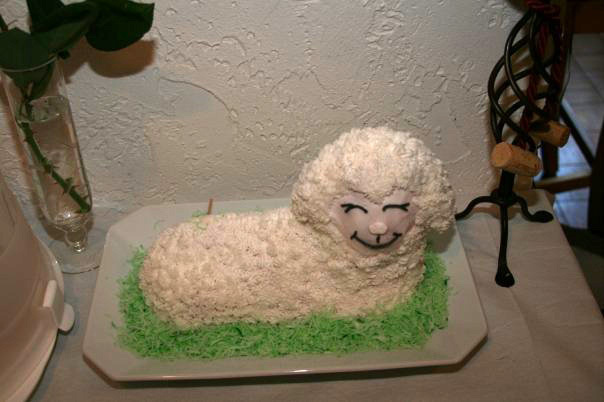 With Easter coming up I thought I would show you a lamb cake that I made. It's super easy and really fun for the kids. No, it's not actual bits of lamb, so don't worry, keep reading. You can get the mold here. I got mine at Micheal's, they should have them in stock because it's Easter time. 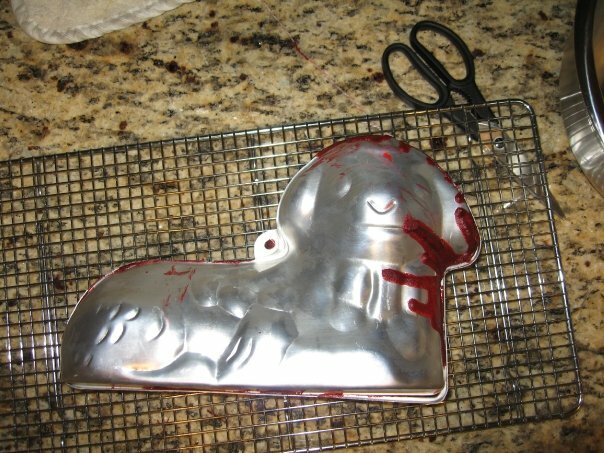 The directions said to use a heavier cake like pound cake, but I wanted to use a red velet cake, cause I'm a tad weird like that. 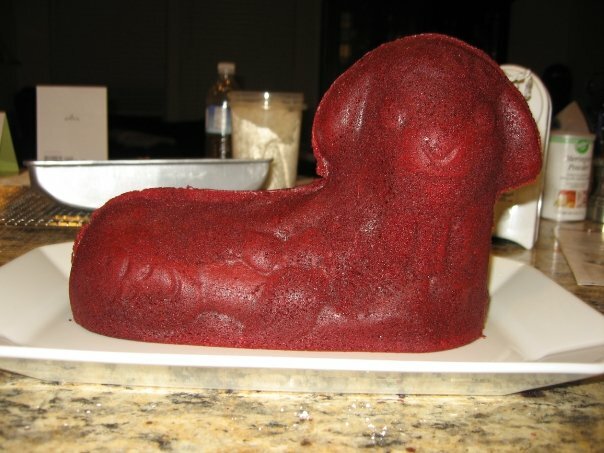 Cutting open a lamb cake to find red cake in it, nothing beats that family reaction! I didn't have this tutorial when I was making mine, but it's pretty much everything that I did. It's also in the instruction book that comes with the cake pan. Basically you just fill one side of the cake pan to the top, basically one cake mix fills the entire thing. Then put the top half on, and tie it closed. Cream shortening, flavoring and water. Add dry ingredients and mix on medium speed until all ingredients have been thoroughly mixed together. Blend and additional minute or so, until creamy. This is the basic recipe for a STIFF consistency icing. For the base layer of icing you need to make the above recipe THIN consistency. Thin Consistency: You'll need to add 2 teaspoons of water per cup of frosting (so you'll need to add 6 teaspoons of water to the above recipe.) I added some food gel coloring to make it slightly pink, I thought a white face was totally weird. For the "fur" and face you'll need to make another batch of frosting with a MEDIUM consistency. Medium Consistency: You'll need to add 1 teaspoon of water per cup of frosting (so you'll need to add 3 teaspoons of water to the above recipe). I used this decorating tip, it's a triple tip, so I could get more coverage and wasn't deocrating for 5 hours...you can however do it one at a time, but your hand will get tired, I tried that the first time. Then remembered I had that triple decorating star tip. Back view, the reason we have the bamboo skewers in there, was that we had to drive 40 miles to our destination and since we didn't use a dense cake it was a little wobbly. We took the front sticks out as soon as we got to our destination. I colored some coconut green, and bam you have a lamb sitting on grass. 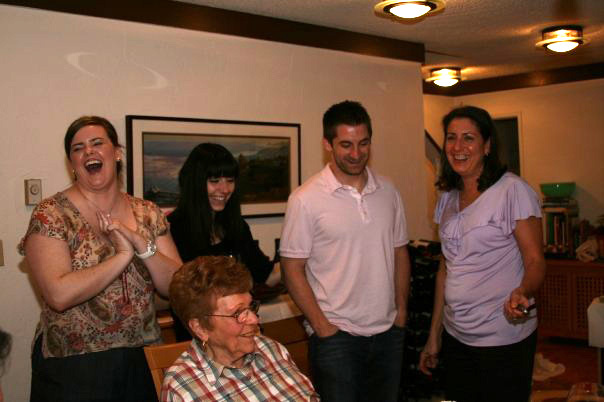 My family's reaction when we cut open the lamb and saw the red velvet cake inside. Last night I had a dream that I was in another 1/2 marathon. My knee problem was gone, my ankle problem was gone and I was feeling good. Is this my minds way of telling me to get that MRI and figure out what's wrong with my knee...I think so. I know Baby Fox will be happy to have the wind in his face again. Every time we got out in the jogging stroller he yells out "run Mama, run!" I have exactly 27 days to finish my photo album book that I bought from Photobook America last July...I thought..April, I can do it by April, and here we are 5 days from April and I still have a long way to go. I can do this...bottom line, I need to stop taking naps on the weekend while Baby Fox takes his nap...but bed always sounds so much better than staring at a computer. Um, wow. 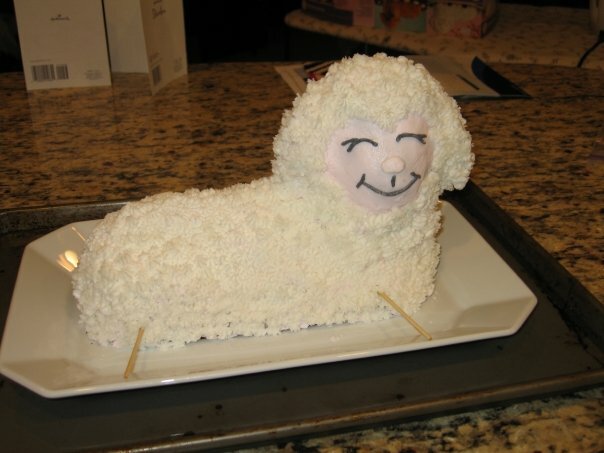 I can't believe how well your lamb cake came out! AWESOME. That cake is ADORABLE. Amazing job!! Oh my gosh that is so cute and I am cracking up that you used red velvet cake, what a great idea! 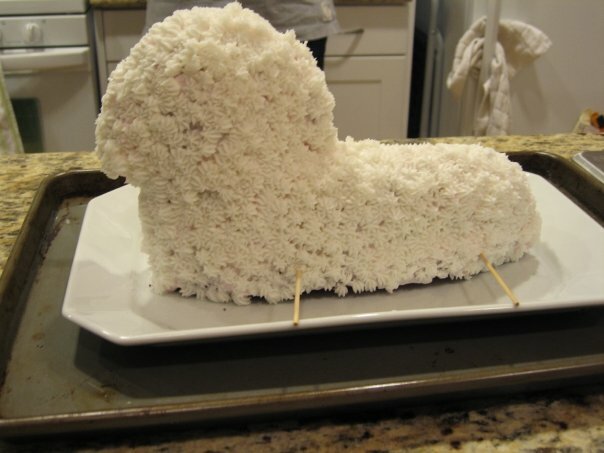 My always does a lamb cake too!